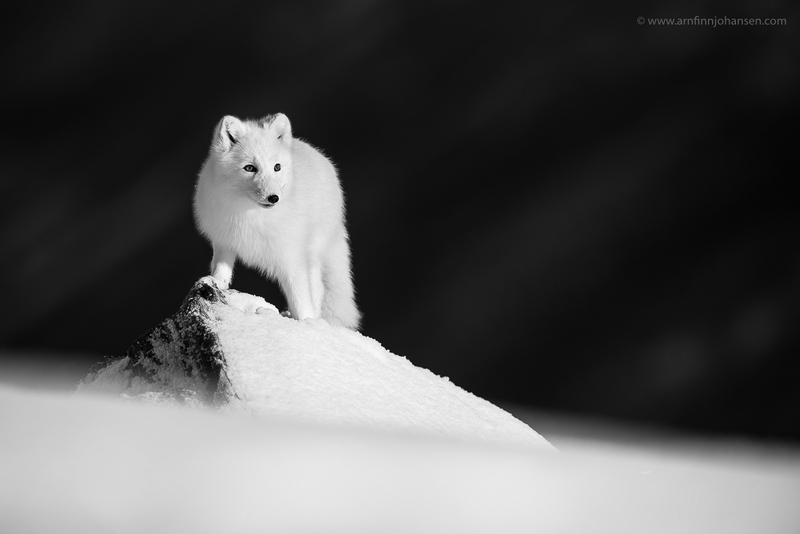 The image of the Arctic Fox is taken on Dovrefjell in Norway, while all the African wildlife images are taken in Maasai Mara, Kenya, from Oltepesi Tented Safari Camp’s specially modified and low-angled safari vehicle for wildlife photography. Thanks to John Siololo and Johnmark Kiss-may for great guiding. 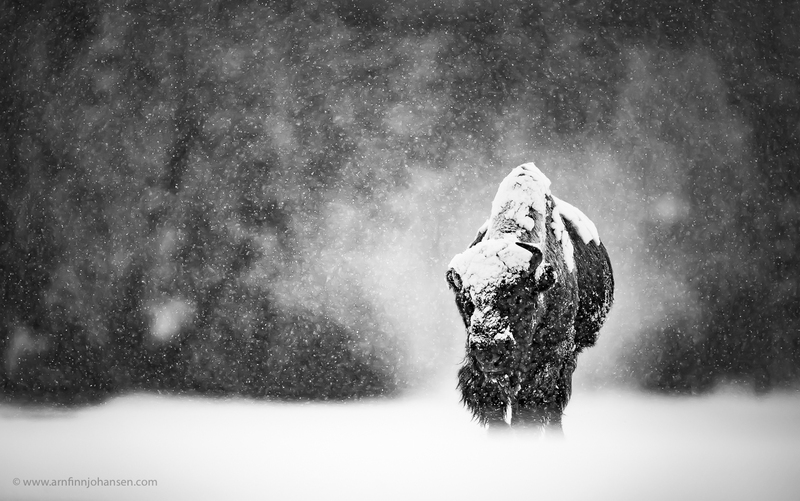 The Bison images are taken in Yellowstone National Park in Wyoming, U.S.
Arctic Fox on Dovrefjell, Norway. Highly Commended i Monochrome Photography Awards 2018. Nikon D5, Nikkor 400/2.8E, 1/2000 sec at f/4. ISO 125. 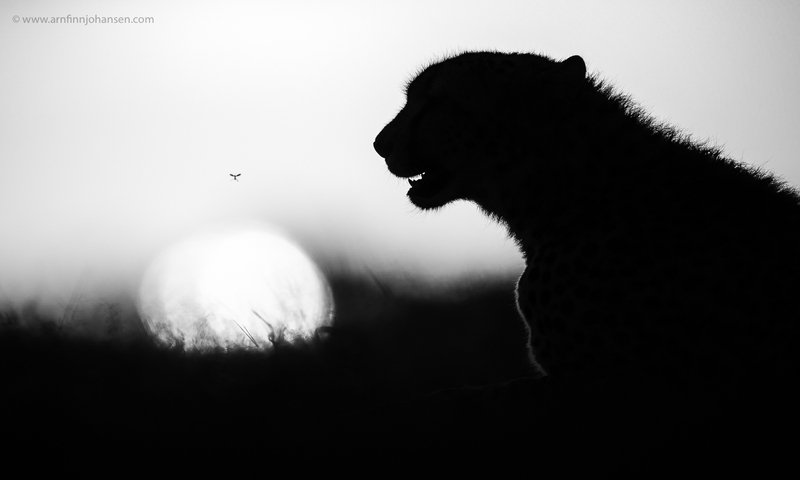 Cheetah and insect in Maasai Mara. Highly Commended i Monochrome Photography Awards 2018. Nikon D5, Nikkor 600/4E, 1/1600 sec at f/4. ISO 50. 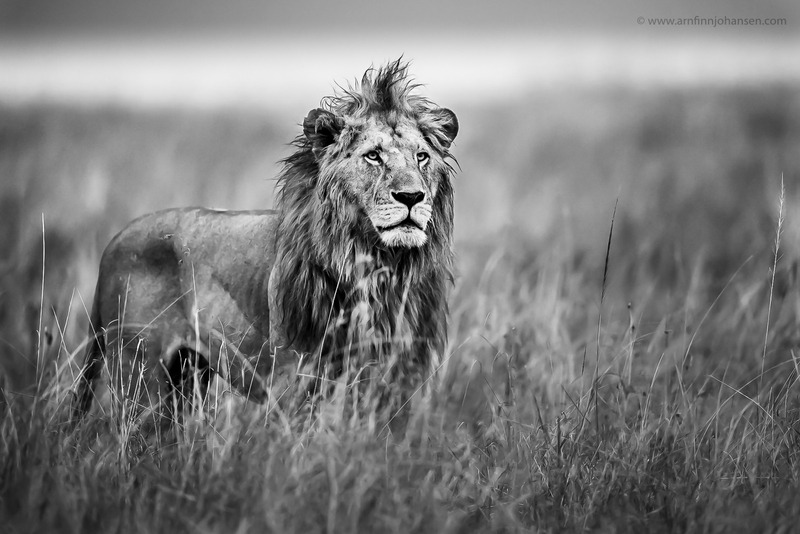 Male lion in Maasai Mara. Highly Commended i Monochrome Photography Awards 2018. Nikon D5, Nikkor 600/4E, 1/1000 sec at f/4. ISO 1,100. 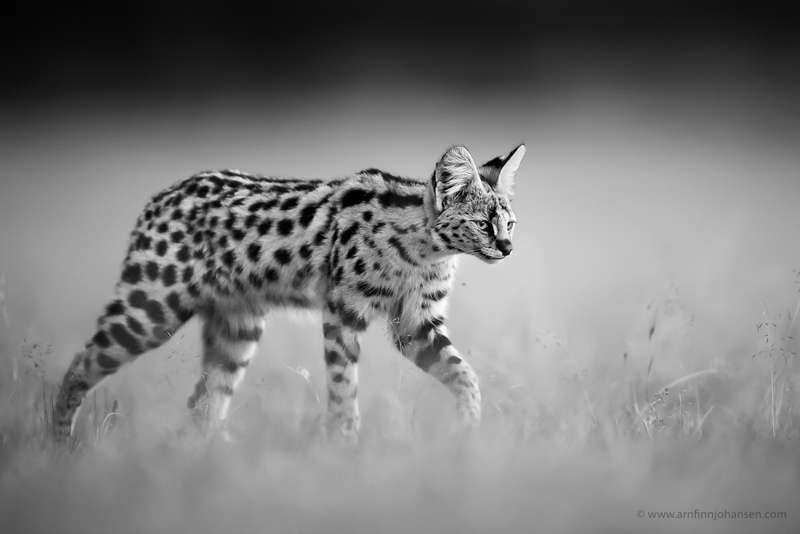 Serval Cat in Maasai Mara. Highly Commended i Monochrome Photography Awards 2018. Nikon D5, Nikkor 600/4E, 1/640 sec at f/4. ISO 9,000. 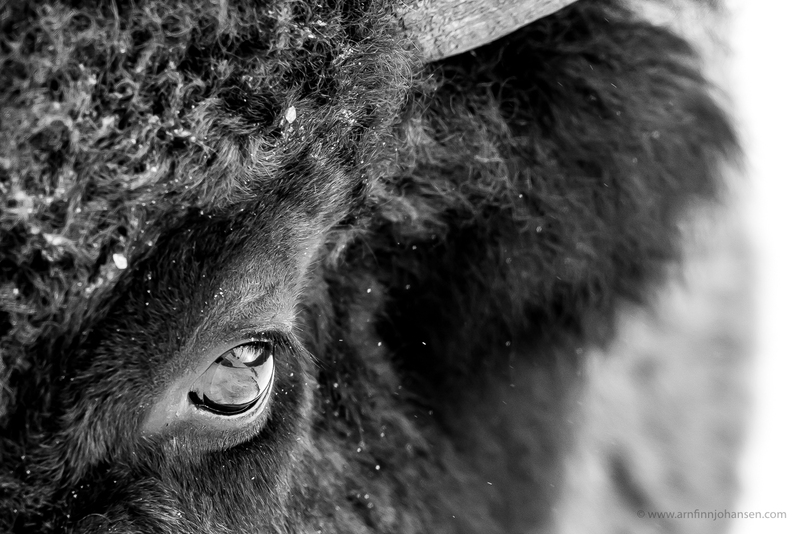 Bison in Yellowstone, U.S. Highly Commended i Monochrome Photography Awards 2018. Nikon D5, Nikkor 600/4E, 1/1600 sec at f/5.6. ISO 3,200. Bison in the hot spring steam. Yellowstone, U.S. Highly Commended i Monochrome Photography Awards 2018. Nikon D5, Nikkor 600/4E, 1/2000 sec at f/4. ISO 640.